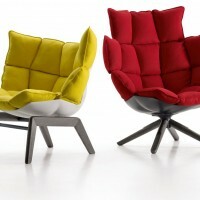 Patricia Urquiola has designed the Husk chairs for B&B Italia. 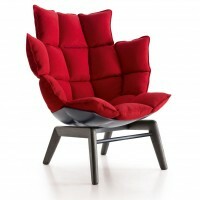 An ottoman footrest is also available. 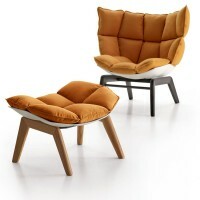 Playing on the wide range of colours and finishes of the body (in four-toned recycled plastic), the support (in natural oak or grey or black lacquered wood) and covers (numerous types of leather or fabric), Husk can radically change its appearance, from a single colour to an extremely bright or subtly elegant style. 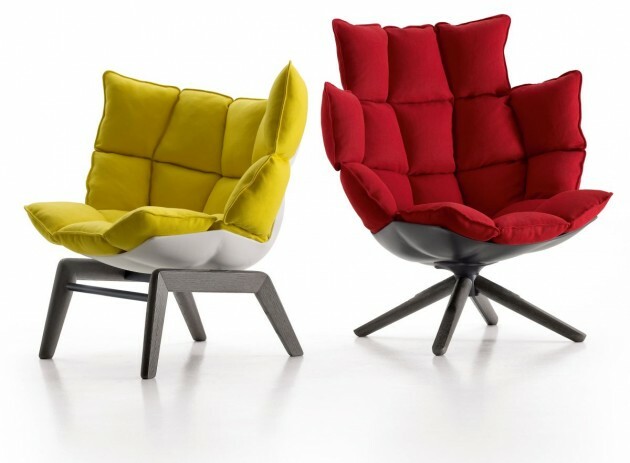 With this project, B&B Italia embraces the theme of ecology by using both recycled and recyclable materials, and components that can be fully disassembled in future – thus simplifying the recycling process and reducing the environmental impact. 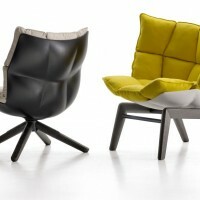 Visit the B&B Italia website – here.